Looking for that perfect hilltop setting to build your dream house? 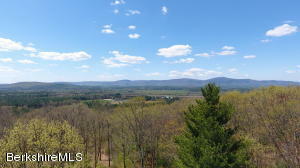 Situated on 26.38 private acres with a plateau at 1,100'. Distant views above the Sheffield Valley as the sunset unfolds over the Taconic Range. 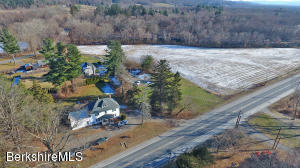 A beautiful unspoiled lot surrounded by mature hardwoods, stonewalls, a small pond and you. One building site is permitted on this land. You may judiciously clear trees for views of your choice. A gravel driveway is in place to reach the plateau where you would build. Land is surrounded by 3 large estate parcels and 150 acres of conservation. Curb appeal is just the beginning! 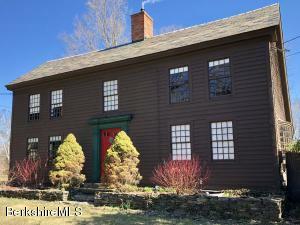 A classic picket fence and country vibe are the first clues that this bright and beautiful, renovated Gilligan-built Colonial, within walking distance to Sheffield village, will not disappoint. 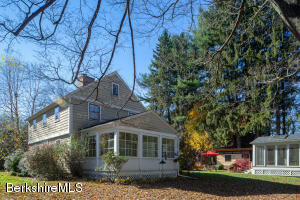 This wonderful home features three bedrooms and two full baths, a living room with fireplace and wood-paneled overmantel, dining room, three season porch and cook's kitchen. Outside, a separate studio building with heat and air conditioning, and a terrific glass ''barn'' enclosing a hot tub and cocoon fireplace, increase the wow factor. Don't miss out on this one. GREAT OPPORTUNITY IN A CONVENIENT LOCATION! Two separate buildings each with 3 potential rental income apartments; Main building can stay as is or be converted back into a single family; live in one, rent the others; solid rental history.